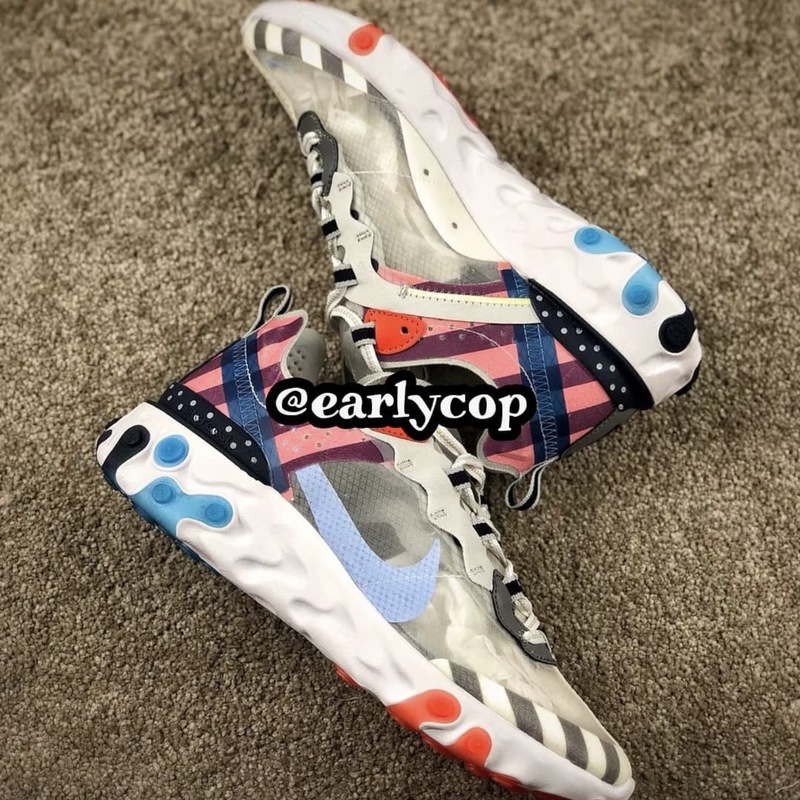 The Sole Womens > News > Closer Look > Would You Cop The Parra x Nike React Element 87? Would You Cop The Parra x Nike React Element 87? Originally designed and shared by @chadmanzo back in July as a digital custom (above) and receiving nothing but good comments, this dreamy Parra x Nike React Element 87 has now been brought to life and debuted via Instagram. @earlycop has recently released images and a video to Instagram of the recently designed silhouette. Is it real? Will these hit the shelves? Earlycop is known to release images and videos of both hypothetical customs and “early” images of cops to come… Our guess is that this silhouette is a custom, but we can keep everything crossed in hope for this release. What are your thoughts on this silhouette? Keep it glued to The Sole Womens for all your female sneaker needs, from style guides, news and the latest releases.